Diana Ross, originally issued in 1976, was Diana Ross's first full-length solo studio album in over two years. It arrived on the heels of Mahogany, Diana's record-breaking second feature film that included her No. 1 hit, "Theme From Mahogany (Do You Know Where You're Going To)". As well as the Mahogany theme, the album containts one of Diana Ross's biggest hits - "Love hangover". As well as the newly re-mastered original album, there is a second CD packed with bonus material - single-only mixes, non-LP singles, the super-rare promotional single "Coming Home," and new alternate mixes of nearly the entire album. There's even more: three never-before-heard performances from the sessions - "Harmony," a cover of the Elton John classic; and "Go Where Your Mind Is" and "Le Lo Li," produced by Jeffrey Bowen with help Sly Stone. Rounding out the collection is an excerpt from a Diana Ross interview that hasn't been heard in 36 years. The album is released as a digi-pak and contains a 24 page booklet with detailed song annotations and the story of the album by compilation producers Andrew Skurow and George Solomon, and features photos from the renowned cover photo shoot. 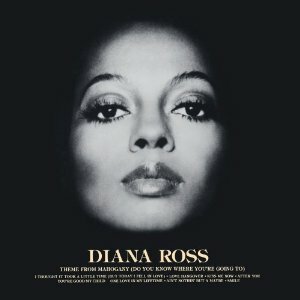 For Diana Ross fans this really is an impressive release - you get the 18 tracks from the original album, which are sounding better than ever thanks to being re-mastered plus you get another 15 bonus tracks, making this very good value for money. An excellent reissue which will appeal to a lot of Diana Ross fans.